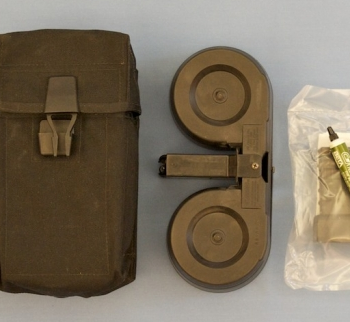 Categories: Accessories, Machine Gun Parts for Sale, Steyr. Tag: Steyr. A must have for any person with a Pre-1986 dealer sales sample AUG. We have the all inclusive gun and trigger package less the receiver. This gives you every spare part normally used in the .223 caliber A1 (not on the receiver). Converted guns use a different, thinner stock and a different trigger pack. 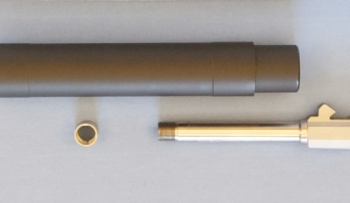 However, the barrel and some others parts are interchangeable. The trigger group only fits the real gun, the dealer sales sample. Firearm part sales are Final. All NFA Rules apply.